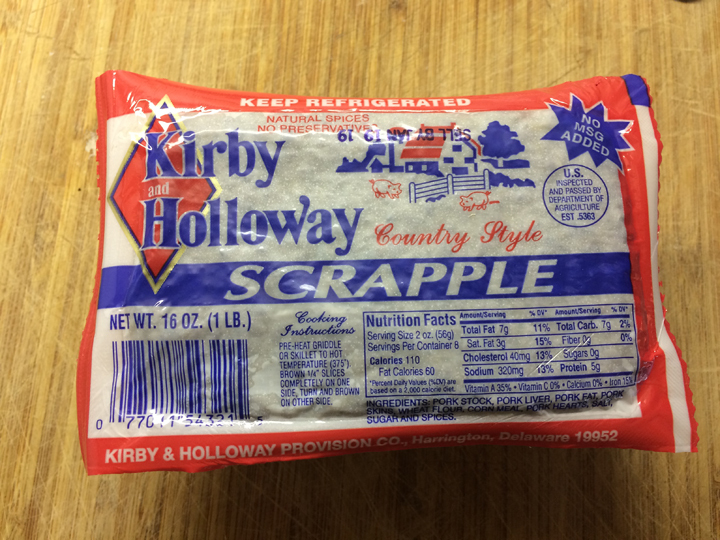 Scrapple, haggis and Swedish pölsa, are they the same, similar or completly different? Haggis is a savoury pudding containing sheep’s pluck (heart, liver, and lungs); minced with onion, oatmeal, barley, fat, spices, and salt, mixed with stock, and cooked while traditionally encased in the animal’s stomach though now in an artificial casing instead. Although it does not look appealing, haggis has an excellent nutty texture and delicious savoury flavour. It is the traditional dish of Scotland and it is popular at least once a year in January when countries pay tribute to the Scottish poet, Robbie Burns in Janaury. Served with tatties (potatoes) and neeps (turnips) and sometimes served with meat pies. Nothing like the ceremony- piping in the haggis (bagpipes), Burn’s address to the haggis (Scottish dialect) and of course, fine single malt Scotch. Popular here in Toronto. Fun ceremony and not bad tasting either. Great for the laddies & lassies. Fun Scottish music and dancing. Good Lord, Haggis , Pölsa from Sweden, Scrapple! Where will this end? Maybe we should introduce Swedish Palt. Can some Swede send a picture?